Laid down, 31 October 1942, at Kaiser Inc., Vancouver, WA. 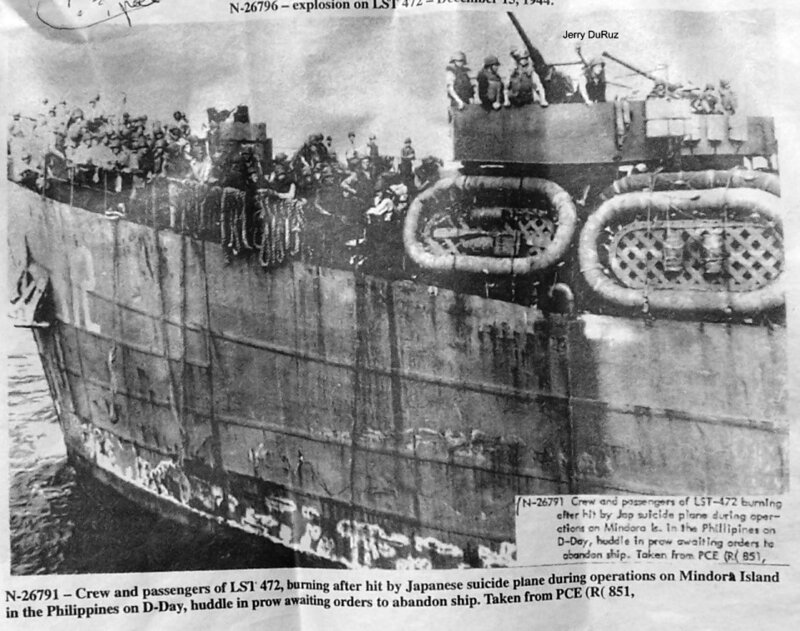 188k Crew and paratroops assemble on the bow awaiting orders to abandon ship, after USS LST-472 was hit by a Kamikaze attack at Mindoro Island, on D-Day, 21 December 1944. Photo taken from USS PCER-851. 82k USS LST-472 after Kamikaze attack at Mindoro Island, 19 December 1944. 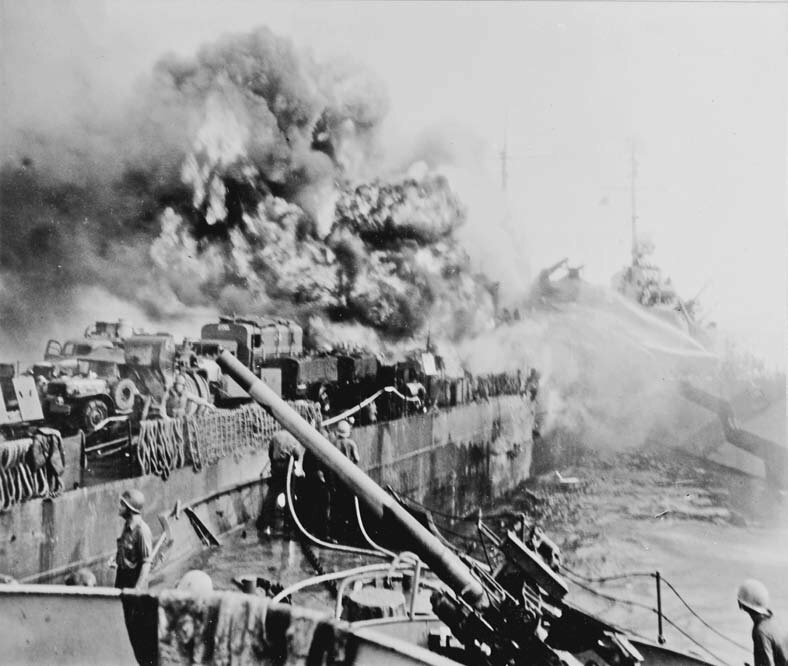 53k Navy ships fighting fires on USS LST-472, after she was hit by a Kamikaze off the Mindoro landing beaches, 15 December 1944. Photographed from on board USS PCE-851. 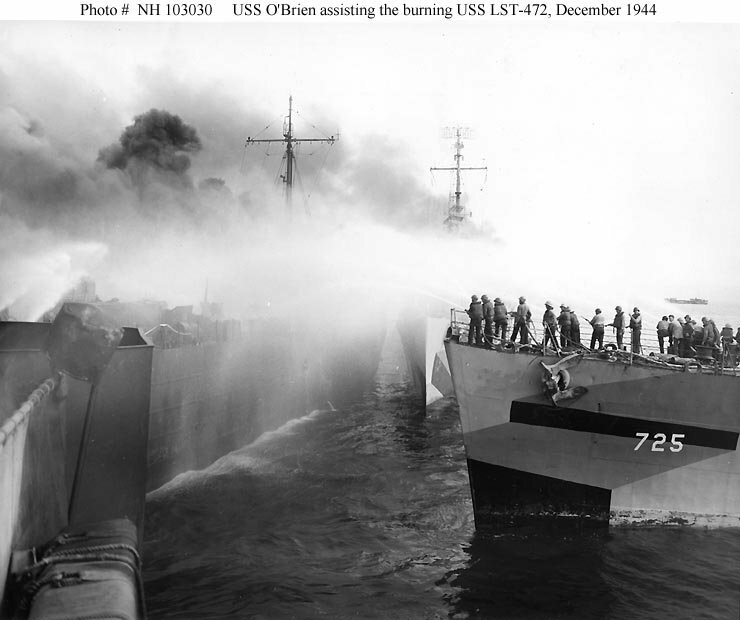 The bow of USS O'Brien (DD-725) is at right, with fire fighting parties spraying water on the burning ship. USS Hopewell (DD-681) is seen nearly bow-on in the center background, largely shrouded by smoke. O'Brien is painted in Camouflage Measure 32, Design 9D.